Under the WBO rules, if the title fight between the champion and the mandatory challenger is held in the country of origin, residence or nationality of the champion, the champion shall receive 75% of the purse and the challenger shall receive the remaining 25%. In fight for the title held in any other country, the champion shall receive 80% of the purse and the challenger shall receive the remaining 20%. Yarde (18-0, 17 KOs) has been demolishing the competition, but he's yet to face a boxer on the level of Kovalev. He's been able to stop every single opponent since his second pro fight in 2015. 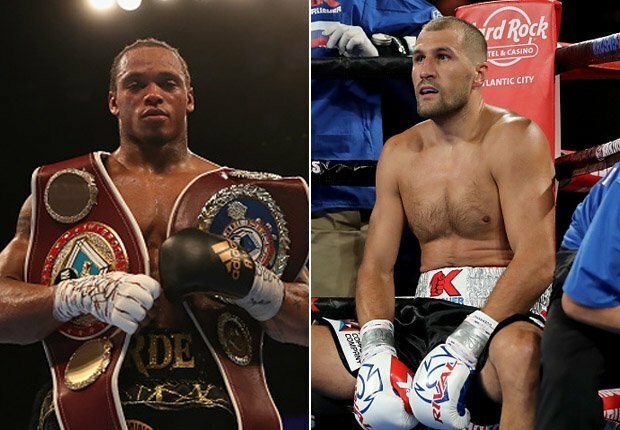 A contest with Kovalev would answer a lot of questions about Yarde, because the young talent has never fought beyond the seventh round, and there has been speculation on whether or not he is capable of fighting a tough pace in a twelve round bout. Yarde's promoter Frank Warren has a very close working relationship with Bob Arum of Top Rank, who has several options on Kovalev. Warren and Arum co-promote heavyweight contender Tyson Fury. Exposedalev ducking Alvarez rubber match. He used roids for the rematch and he knows he gets KTFO again without his Russian Mafia PED's. So just to clarify... does anybody believe that this fight is going to happen? [QUOTE=Ssssh11;19636233]I've got no idea what your saying. please speak English that's the language I understand. [/QUOTE] Look, that was pretty simple. You went from Gvozdyk to govnick, that's quite a transformation. Now what does govnick mean in Gvozdyk's native lang?